Toothaches vary in their intensity and frequency. At their worst, they can make it hard for us to concentrate upon anything other than the throbbing pain. Toothache (or odontalgia, the clinical term) can be caused by a variety of oral disturbances. The most frequent culprits are dental cavities, which occur when bacterial-formed acids eat through tooth enamel and leave the softer tissue inside – and its nerve endings – exposed. 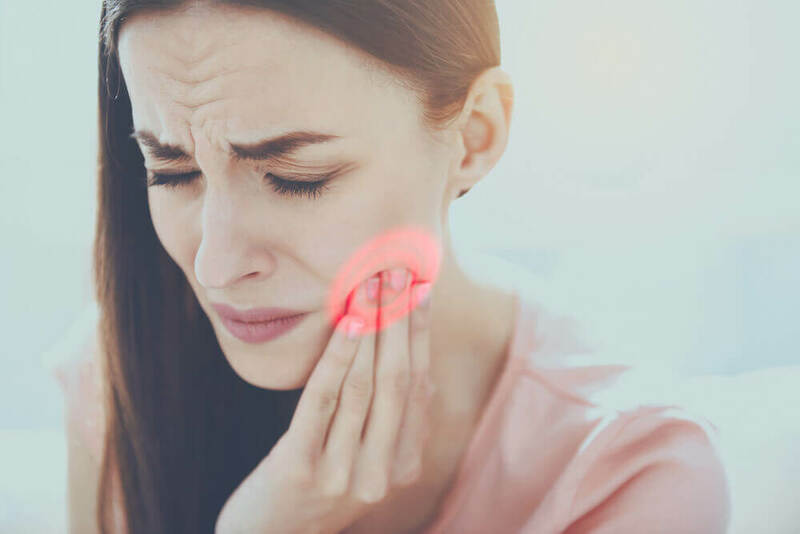 Pain can also be caused by dental caries (soft decayed areas within a tooth), pulpitis (inflammation of tooth pulp) and periodontitis (a disease that attacks the gum and bone around a tooth). The underlying cause of an ache will determine which home remedies will be most effective in combating the pain. Peppermint oil is one of the most popular and effective natural treatments for tooth pain. 3 or 4 drops applied directly to the affected tooth will exert a potent numbing effect upon the area. A similar effect can be achieved by applying oregano oil to the tooth (not the surrounding gums) for five to ten minutes. Oregano oil can be rubbed on with a cotton swab, though some people prefer to apply it directly with a dropper. It not only alleviates the pain but can also prevent its recurrence. Clove oil contains eugenol, which acts as an anesthetic as well as an antiseptic on affected teeth. Like other treatment oils, you can rub it onto an aching tooth with a cotton swab. A similar effect can be achieved using a mixture of clove powder (which also contains eugenol) and vanilla extract (which intensifies its anesthetic properties). Chewing on yarrow leaves can reduce the pain as well as the swelling often associated with an infected tooth. Cold compresses can provide temporary but quick surcease for an aching tooth, as the intense cold desensitizes the area for a brief time. Don’t apply ice to the area directly, but rather wrap a cube in a towel or cloth first. Hydrogen peroxide, diluted with water, can nullify some of the pain of a toothache while at the same time helping to sanitize your mouth. Alcohol acts similarly as both anesthetic and antiseptic. A shot of liquor, allowed to sit upon an effected tooth for a couple of minutes, can exert a numbing effect. If you hadn’t intended to actually imbibe the alcohol, simply spit it out after using it for this purpose. Many of the available home remedies for toothache won’t necessarily address the underlying problems that are causing the pain to begin with. A more thorough process of investigation – or dental work – may be necessary. But when we’re hurting, we can more easily consider long-term solutions when we’re able to find short-term relief. In the meantime, be careful not to aggravate an aching tooth further. If the act of chewing causes pain, try to stick to soups, yogurt, applesauce and other very soft foods. Avoid hot or cold drinks and sweet foods if you feel particularly sensitive to them. A combination of caution (i.e., avoiding anything that aggravates our teeth) and remedial care (using any of the applications discussed here) can go a long way towards alleviating tooth distress. It can give us peace of mind while we look for a long-term solution.